Young Teenage Woman Sitting In The Cafe, Drinking Coffee And Working On Laptop. 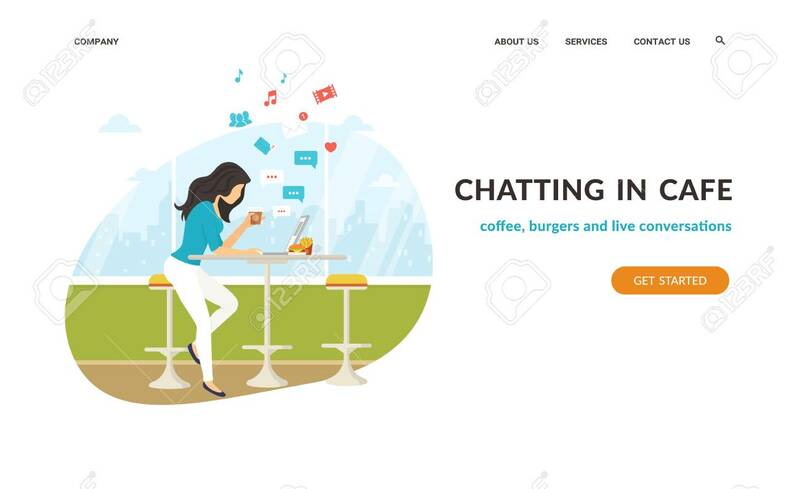 Flat Vector Website Template And Landing Page Design Of Student Working And Chatting With Friends In Social Networks Lizenzfrei Nutzbare Vektorgrafiken, Clip Arts, Illustrationen. Image 105855305.